Starting out in Music Production can be expensive after you’ve chosen your weapons, You’ll most likely be eager to start learning skills that can help you make beats like your favourite producers. You’ve thought to yourself what is the most advanced stuff I can learn without blowing my mind up and getting stressed. Does your Midi controller only feature one slider? 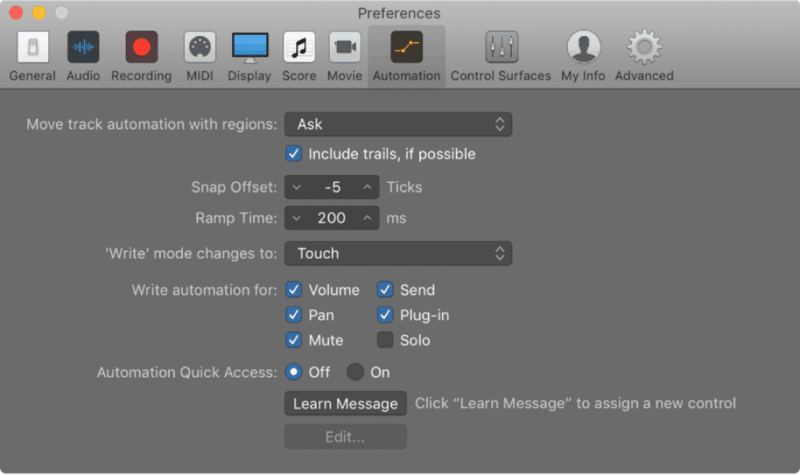 Did you know that even a lack of knobs or sliders doesn’t have to restrict you, Within Logic Pro X it’s possible to control multiple automation parameters with a single slider. 3. Simply move the controller you want to use, then press the “Done” button. You can now record any automation that is currently selected on the track. Colour coding your channel strips helps keep your session organised and makes it easier to identify various elements in your project. 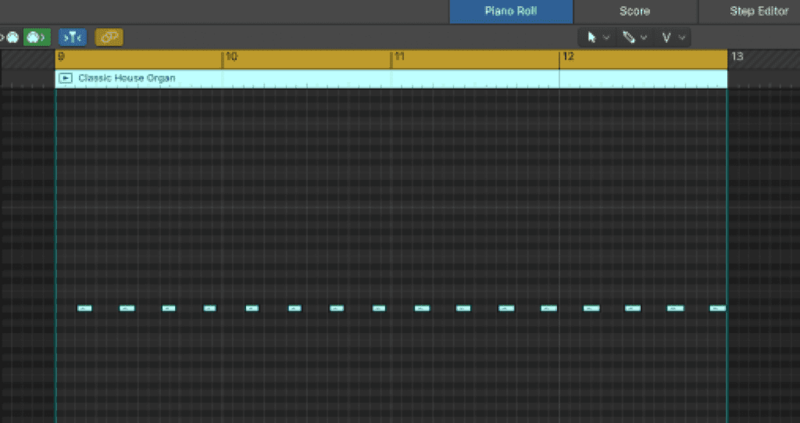 For instance, you can group percussion elements together by assigning their corresponding channels the same colour. 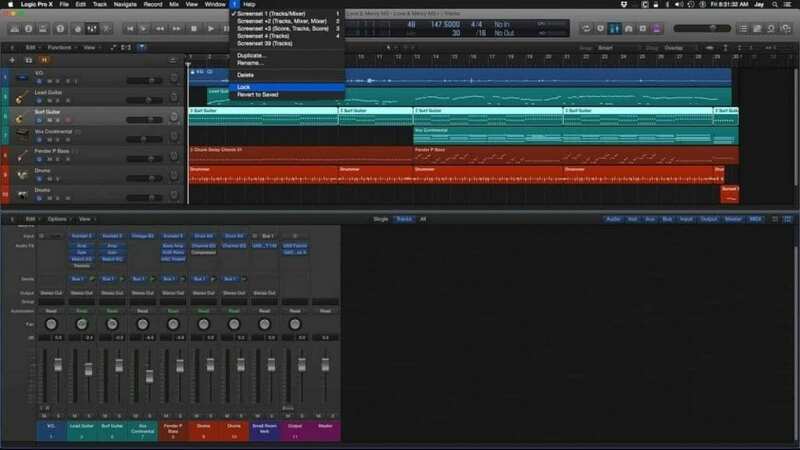 Understanding the tracks area of Logic Pro X is an absolute fundamental for speedy workflow and casting the dark forces of beat block away. 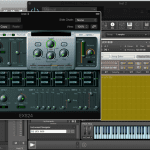 Once you’ve been in the Logic environment for a while you’ll soon discover that having the ability to zoom in and out of tracks with ease is an absolute must for finishing up projects fast and reducing wasted time. Hit Option + Mouse/Trackpad Swipe (or Command + Keyboard Arrows): Using these key commands will zoom in and out of your entire tracks view, this option works both vertically and horizontally for zooming in and out of tracks as well as blowing them up. Hit Control + Option + Command + Arrow Keys: When using this option, ensuring that a specific header area of your track is highlighted will allow you to zoom in on that area. Control + Option + Command + Delete: this option will put everything back to its original state before you zoomed in. Did you know that if you have already sequenced something and want to try out another variation, you don’t have to delete and start over or move the region temporarily to a different area in the arrange view. You can just mute the notes! 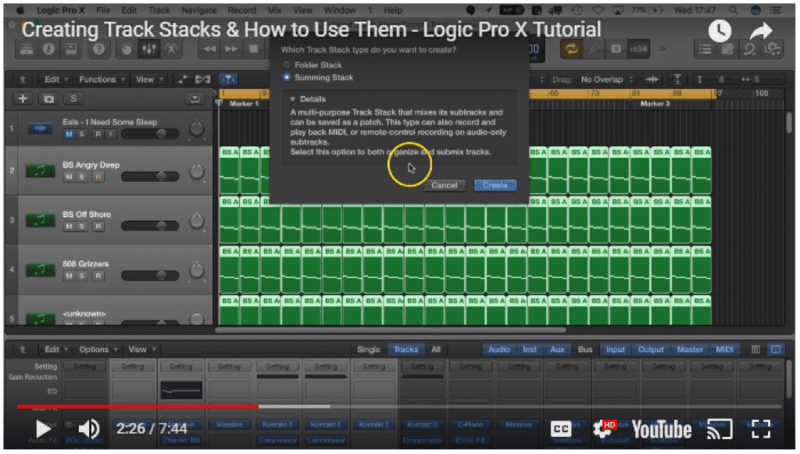 Perhaps one of the most useful Logic Pro X tips, creating track stacks is easy and can save you a bunch of time! We’ve covered this tip before so I won’t go into the specifics of how to do it, to sum it up with Track Stacks you can control automation parameters of multiple tracks at once amongst many other different uses, check out the full video here. To assign the key command type in a variation of keys into the Key: section, for example Control, Alt, Command, Backslash. To engage tap tempo hold down Control, Alt, Command and then use backslash to tap in the tempo. Does your project have specific time requirements? maybe your track only needs to be a minimum of 30 seconds? 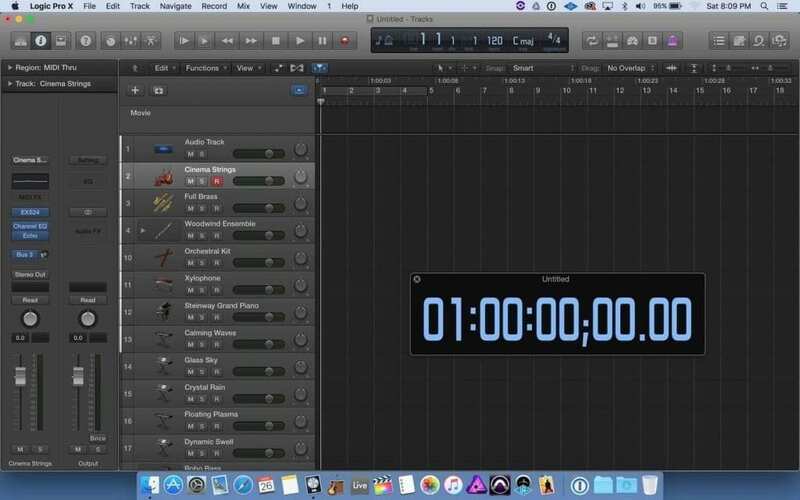 It’s easy to get carried away when composing and do more than you need to, keeping track of your time using a large time display is an easy way to stay on top of the length of your project. Click the triangle on the right side of the LCD, then choose Open Giant Time Display from the pop-up menu. Using markers is essential for keeping your project tight and nicely organised. Firstly, to begin using markers we need to ensure that our Advanced Tools are turned on, to do this go to Logic Pro X, Preferences, Advanced Tools. To create a marker, move the playhead to the desired play position and next hit the + button. Now you can go ahead and rename your markers, Repeat the process for each section of your project to be organised AF. 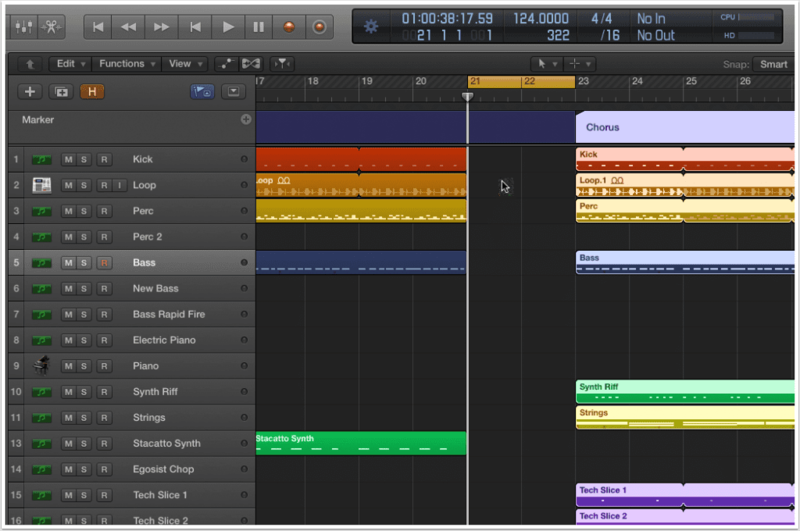 The Marquee tool is an extremely powerful and versatile function within Logic Pro X, Using it for arranging and sequencing purposes is only a small portion of what its capabilities entail. 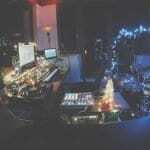 So you want to be Mr Fancy Producer and create an area of silence? Set your locators to the beginning and end points in which you want the silence to appear, Hit Control-Command-Z, (choose Move on the dialogue that may appear), the gap will appear, and everything to the right will be moved along.